But before faith came, we were under the guard of the law…But after faith has come, we are no longer under a tutor. Discovery of our true identity is the most life transforming discovery. This discovery brings our eternal inheritance into focus, and the life of our design into reality. Listen and let His transformation amaze you. 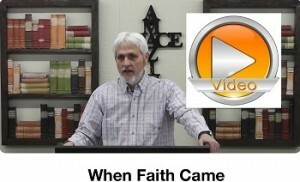 When we discovery our true identity, we are no longer trapped by only our five physical senses, we begin to see through the eye of faith, ignited by His love for us, our vision now becomes clear, it is His vision and thoughts toward us (Jer 29:11). His provision for us. Seeing through the eye of faith, is seeing what He sees and hope rises by faith calling those things that be not as though they were. 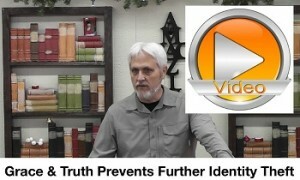 Our true identity is discovered in Christ Jesus, and the finished work, a gift of great grace! All things are possible for those who believe the truth of their redemption, full of grace and truth. 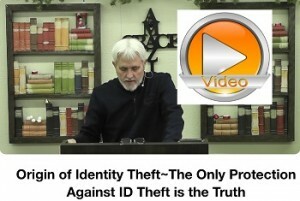 Most people’s identity is “identified” by what they “do”, not who they really are. Many lose their identity when they get fired, laid off, or retire. If you know your true identity, your identity will stay intact no matter what happens. As a matter of truth, your true identity will actually set you up for much bigger, more fulfilling things than you ever dreamed, maybe even exceedingly abundantly above and beyond what you could ask or even think. You are much more valuable than you think! Listen and be blessed! Thank You, And A Exciting Announcement! We would like to thank you all for your support, and also make a brief (1 min 45 sec) exciting announcement about our upcoming book release. Blessings to you! 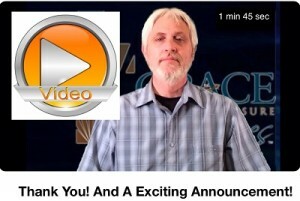 Posted on January 4, 2017 January 9, 2017 Author EvanCategories Grace Audio/Video MessagesLeave a comment on Thank You, And A Exciting Announcement! 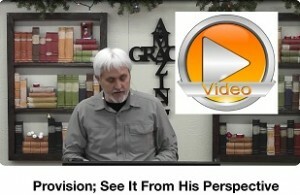 Provision; See It From His Perspective! 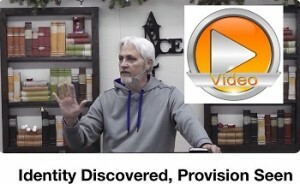 How is provision connected to God’s vision, and His view and opinion of us? We have the mind of Christ, and this message will help you see provision through His eyes, and it’s absolutely amazing. The hearts of people all over the world are crying out for freedom, and that’s a good first step, but only the gospel can define true freedom, and it is Amazing. Posted on January 2, 2017 January 9, 2017 Author EvanCategories UncategorizedLeave a comment on Provision; See It From His Perspective!